Assembly of First Nations National Chief Perry Bellegarde is backing a UN committee recommendation to criminalize the involuntary sterilization of women, saying he wants changes to the Criminal Code of Canada to make involuntary sterilization of First Nations women a criminal offence. A United Nations committee is recommending Canada take measures to prevent and criminalize the involuntary sterilization of women. Assembly of First Nations National Chief Perry Bellegarde is backing the recommendation, saying he wants changes to the Criminal Code of Canada to make involuntary sterilization of First Nations women a criminal offence. "Forced sterilization is a gross violation of human rights and First Nations rights and it must be criminalized to help bring an end to this inhumane practice," he said in a statement. The UN Committee Against Torture has been examining reports of forced or coerced sterilization of Indigenous women in Canada dating back to the 1970s and including recent cases in Saskatchewan. ​Ensure that all allegations of forced or coerced sterilization are impartially investigated, that the persons responsible are held accountable and that adequate redress is provided to the victims. Adopt legislative and policy measures to prevent and criminalize the forced or coerced involuntary sterilization of women, particularly by clearly defining the requirement of free, prior and informed consent with regard to sterilization and by raising awareness among Indigenous women and medical personnel of that requirement. Bellegarde said he wants a collaborative approach with the inclusion of Indigenous women to help implement the UN's recommendations. Prior to the release of the report, Justice Minister Jody Wilson-Raybould's office said the government is taking a "public-health approach" to the issue, though the government believes everyone must receive culturally safe health services no matter where they live. Wilson-Raybould's parliamentary secretary, Arif Virani. reiterated that message in Question Period Friday. "The coerced sterilization of Indigenous women is a serious violation of human rights and it is completely unacceptable," he said. Francyne Joe, ​president of the Native Women's Association of Canada, said forced sterilization shows how the Canadian medical system discriminates against Indigenous women and girls. 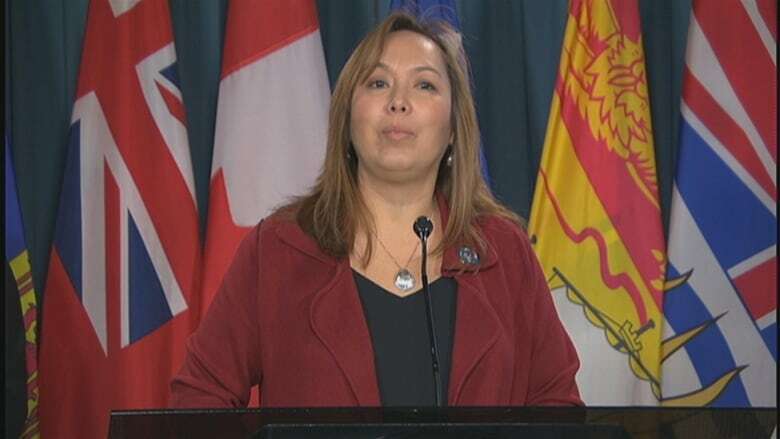 "Indigenous women and girls deserve the same amount of dignity and respect when they receive medical services like other women in Canada," she said. "To engage in a medically invasive, and medically unnecessary without a person's free, full and informed consent is a very serious violation to a person's right of bodily integrity." 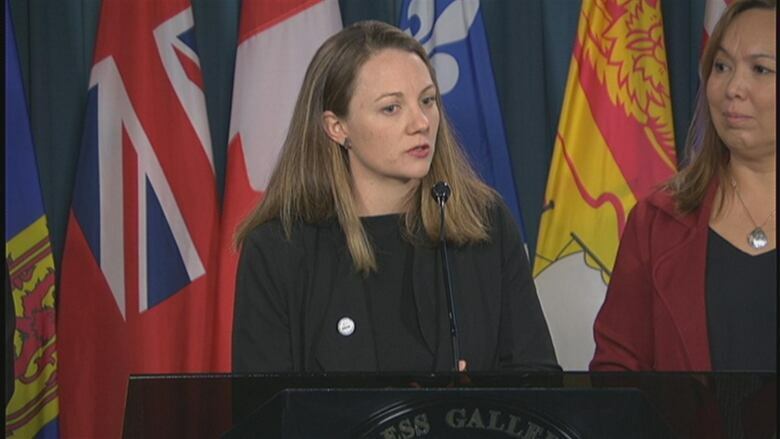 Sarah Kennell, director of government relations for Action Canada for Sexual Health and Rights, said policy and legislation guidelines need to be changed to explicitly prohibit coerced sterilization. She added that the Truth and Reconciliation Commission's Calls to Action 23 and 24 — calling for more Indigenous health-care professionals and cultural competency training for all health-care professionals — need to be implemented. "What we want to see is a firm commitment from government to demonstrate how that is going to happen," said Kennel. A proposed class-action lawsuit led by lawyer Alisa Lombard and her firm Maurice Law is also underway, targeting the Saskatoon Health Authority, the Saskatchewan government, the federal government and a handful of medical professionals as defendants. Penny Smoke currently works with the CBC Storytelling Project and has previously worked as a reporter for CBC Indigenous and CBC Saskatchewan. She also worked as an Associate Producer with CBC's The Afternoon Edition.